Dimensions: Platter - 10 3/4" X 8 3/4". Big Plates 9". 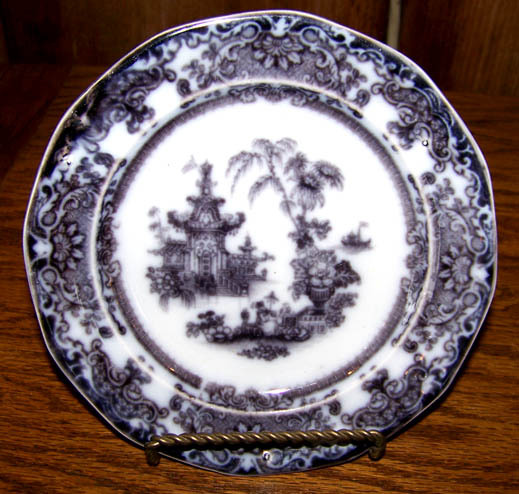 Small Plate 7 3/4". 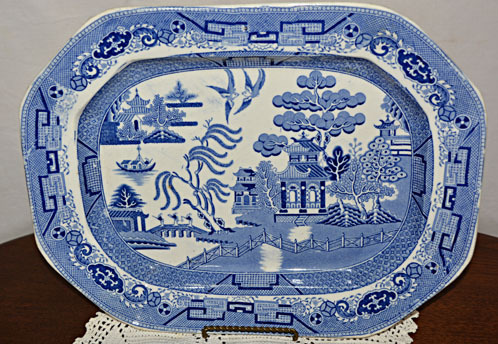 Price: $175 - Platter. 2 - 9" Round Plates - $270 for the pair. 1 - 7 3/4" Round Plate - $110. Purchase as a package - $485. 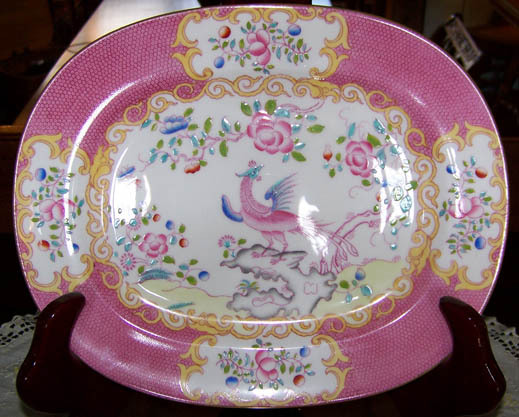 Description: We have acquired these gorgeous pieces of Minton English china in the pink Chelsea Bird pattern. Dimensions: 2 1/2" round x 4 3/4" high. 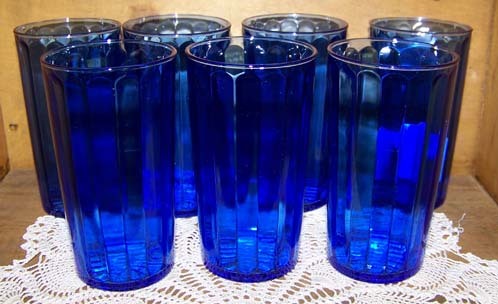 Description: Here is a rare find - BARN ON 26 ANTIQUES has 7 Cobalt Blue Moderntone Goblets. Dimensions: 5 1/2" round x 10" high. 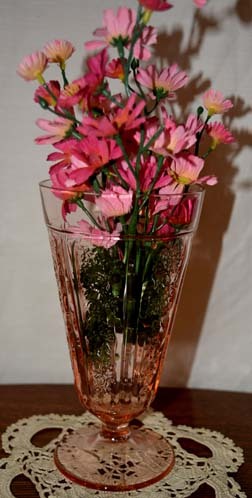 Dimensions: 15 3/4" x 12"
Dimensions: Cups - 4 1/2" (including handle) x 2 1/4" high. 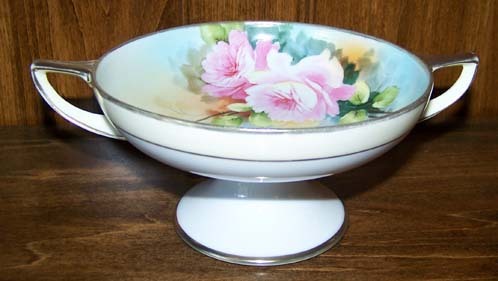 Saucers - 5 1/2" round. Sugar - 5 1/2" wide x 3" high. Ceamer - 4 1/2" wide x 4 ' high. 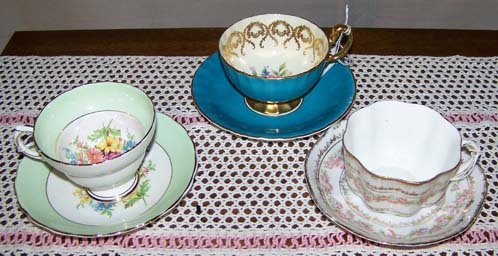 Price: $350.00 for the set. Description: Here is a marked Cambridge Glass Coffee/Tea Set that includes 4 cups and saucers and a sugar and creamer in amber - beautiful! 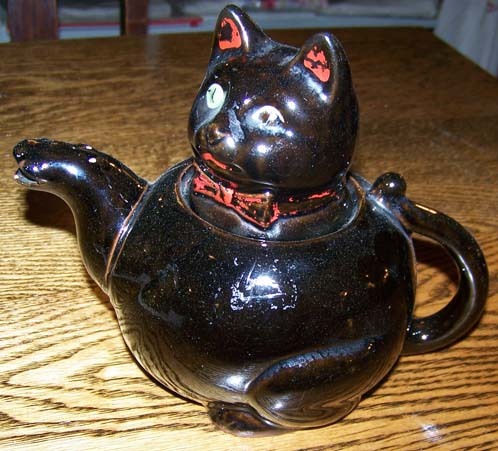 Dimensions: Teapot - 8" wide with handle x 5" deep x 6 1/2" high. Sugar - 4 1/2" wide x 3 1/2" deep x 5" high. 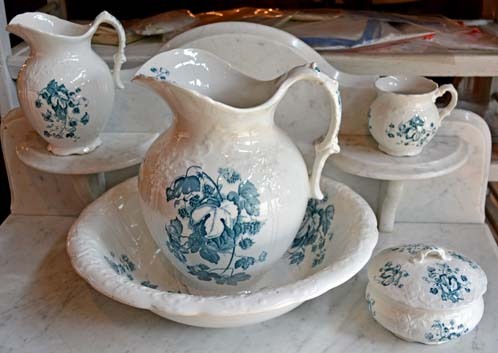 Creamer - 5" wide x 3" deep x 5 1/2" high. Dimensions: 9" round x 14" high. Dimensions: Cup - 4" (with handle) x2 3/4" high. Saucer 5 1/2" round. 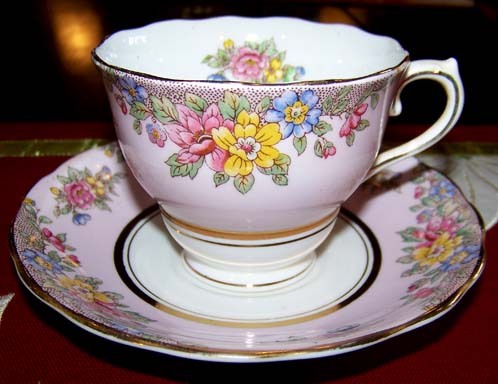 Description: Here is a beautiful and cheerful Cup and Saucer made by Colclough China Company of Longton, England. 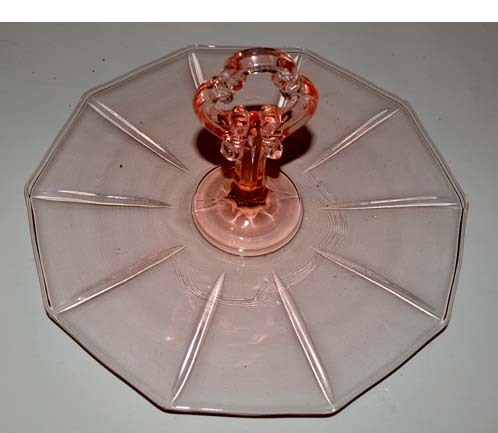 Dimensions: Base - 7" round x 1 1/2" high. Cover - 5 3/4" round x 5" high. 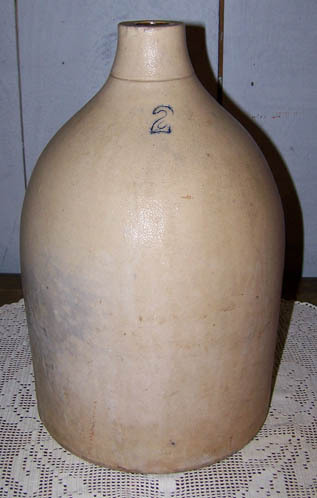 Dimensions: 11" round x 11" high. Dimensions: Base 5 1/2" Square. Shade 20" high. Description: BARN ON 26 ANTIQUES has some perfect early Hummel figurines, each of which sports the appropriate mark from the 1950s and beyond. Dimensions: 5" round x 10 1/2" high. 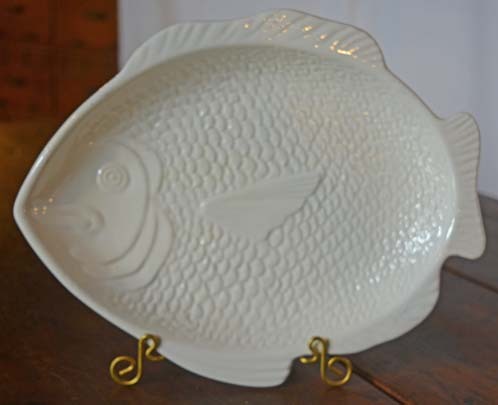 Dimensions: Place settings, Platters, Serving pieces, Accessory pieces, Pitcher and Bowl, Bowls and Platter. Price: $2000 for Set (Individual piece prices upon request). 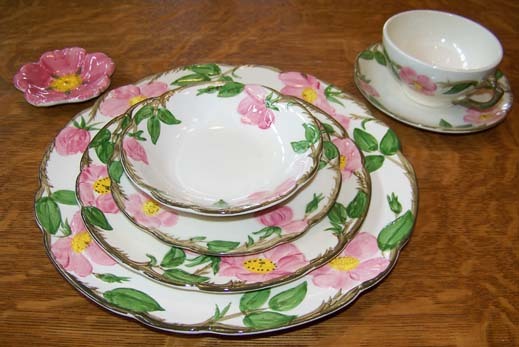 Description: We are pleased to present this wonderful set of vintage Franciscan Ware China in the Desert Rose pattern. Dimensions: A - 5 1/4" round x 16" high. B -5 1/4" round x 16" high. 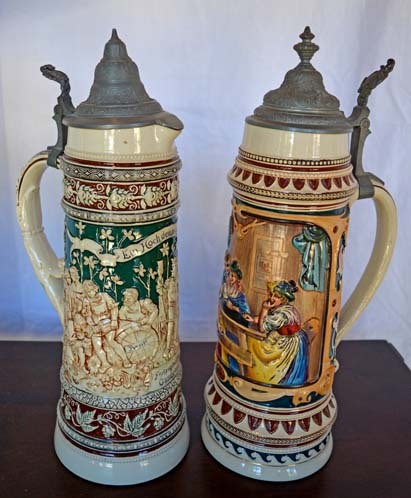 Description: These steins are beautiful, and they are "the real thing"
Dimensions: A - 4" round x 10" High. B - 4 1/2" round x 11" high. Description: These German Beer Steins are beautiful! 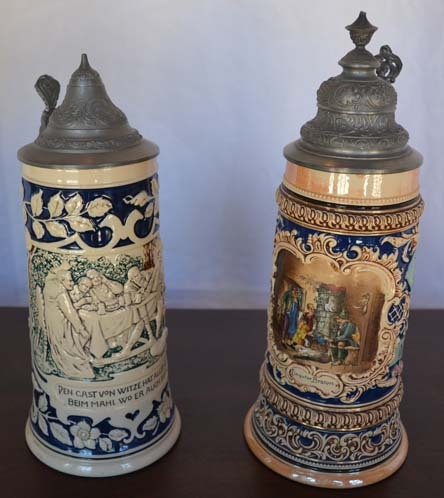 Both steins are marked "Germany"
Dimensions: Base - 4 1/4" round. Top - 5" round. 12" high. Dimensions: Platter 12 3/4" long x 8 1/4" deep x 1 1/2" high. Bowls 5 3/4" round x 1 1/4" high. 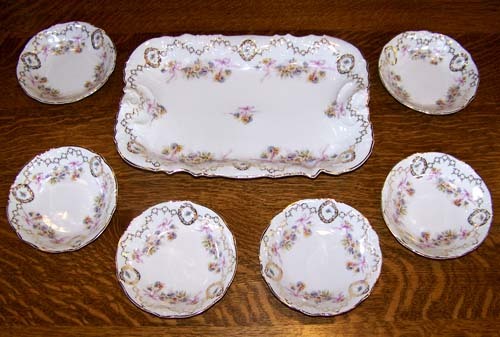 Description: Here is a wonderful complete set for ice cream hand painted and marked "Germany". 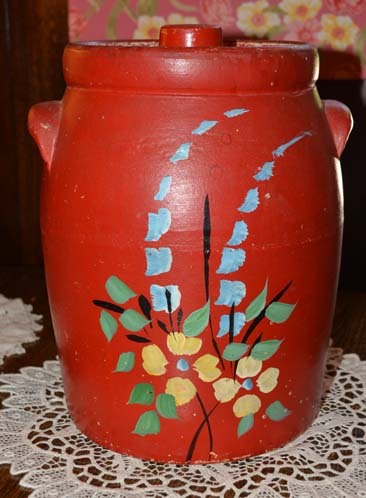 Dimensions: Pitcher and Bowl - 15 1/2" round x 10 1/2" high. 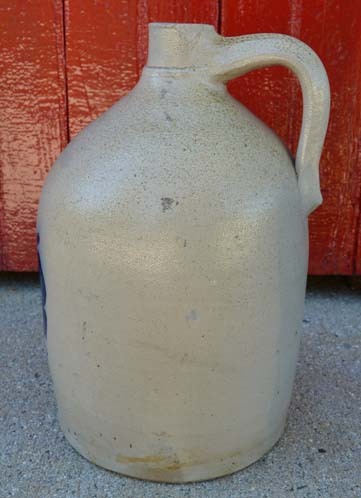 Small Pitcher - 6 1/4" wide x 5 1/2" deep x 7 1/2" high. Cup - 4 3/4" wide x 4" deep x 4" high. Soap Dish - 6" round x 4" high. Dimensions: Plates 8" round. Cups 4" rim x 2 1/4" high. Teapot 11" spout to Handle. 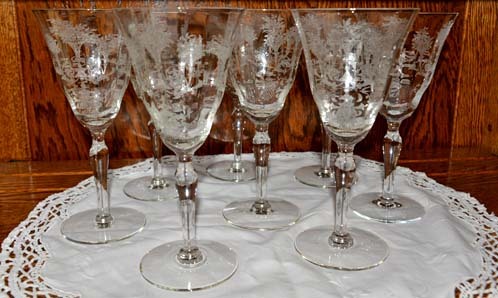 Description: Here is a beautiful and elegant luncheon set purchased from a Hancock, Hew Hampshire estate. Dimensions: 16" wide x 10" deep x 2" high. 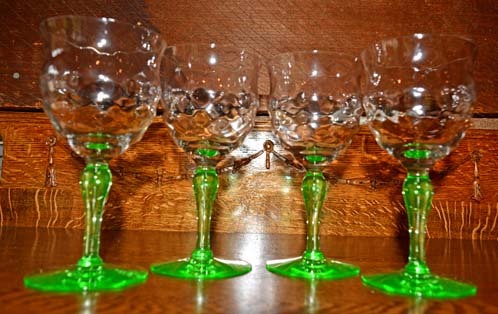 Description: BARN ON 26 ANTIQUES has acquired many cups and saucers of the early Bone China and Japanese variety just in time for the Holiday gift giving. Dimensions: 8" long x 3" deep x 3 1/2" high. Dimensions: 5" long x 3" deep x 5 1/2" high. 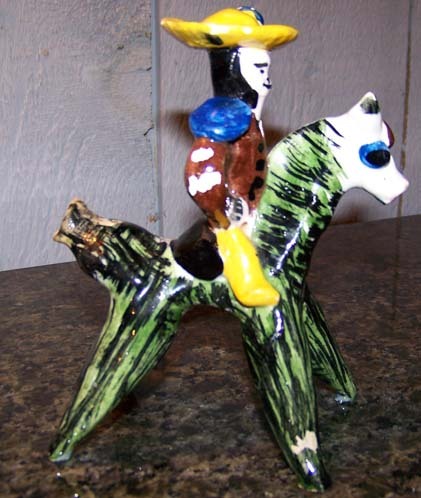 Description: What a fun item to have for sale - a Mexican Burro Whistle! 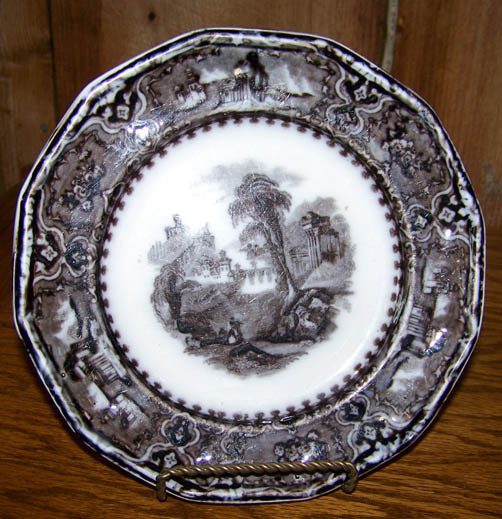 Description: Here is a beautiful example of early Mulberry China, circa 1850. Dimensions: 7" wide x 5 1/2" deep x 3" high. 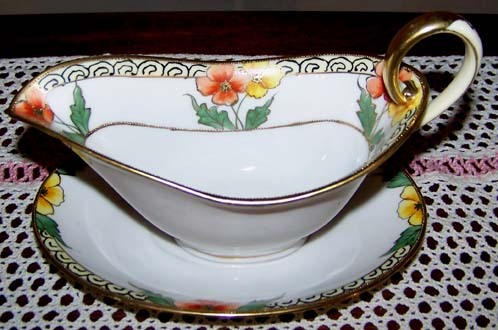 Description: This Nippon Double Handled Bowl is hand painted and trimmed in gold. 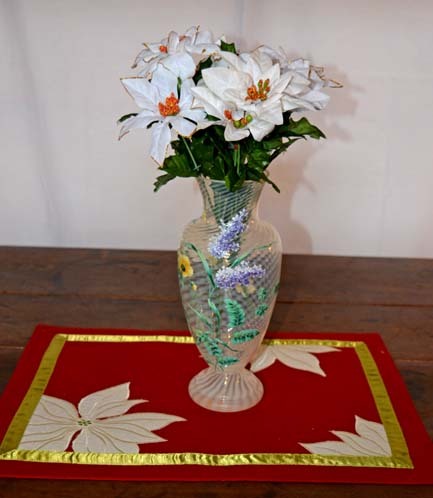 Dimensions: 6 1/2" long x 4 1/2" high. 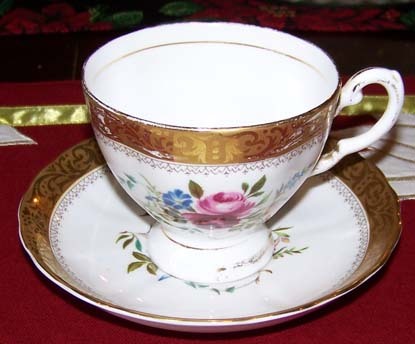 Description: Here is a fine piece of Nippon China in beautiful colors. Dimensions: 11" x 6" high. 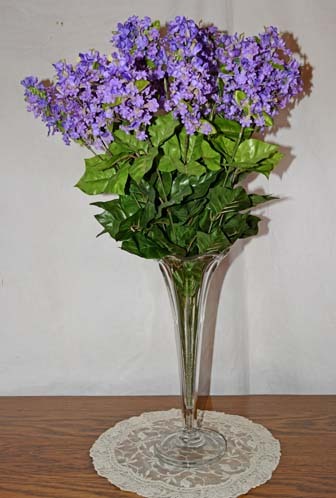 Dimensions: 15 1/4" wide x 41 1/2" high. Dimensions: 8" round x 9" high. 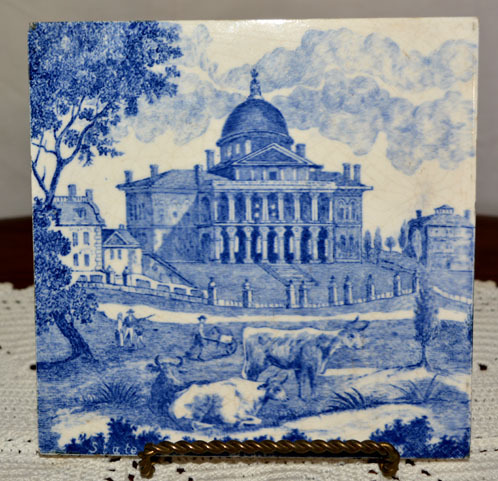 Dimensions: 4 1/4" wide x 4 1/2" deep x 7 1/2" high. 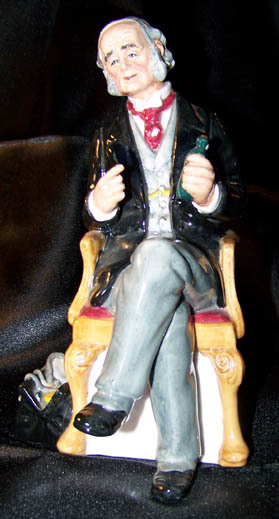 Description: Here is another pristine Royal Doulton figurine entitled simply, "The Doctor". It depicts a country doctor explaining the merits of "modern" medicinal cures. 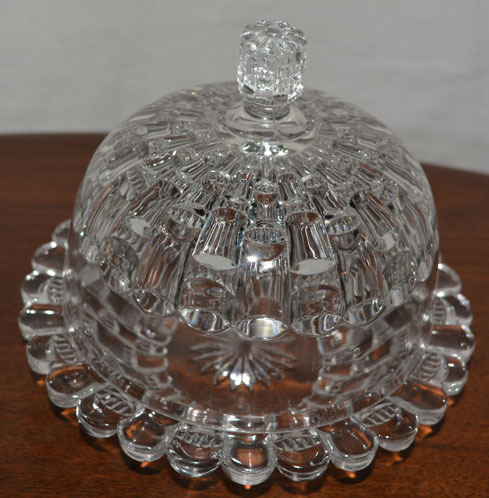 Dimensions: 3 1/4" round x 7 1/2" high. 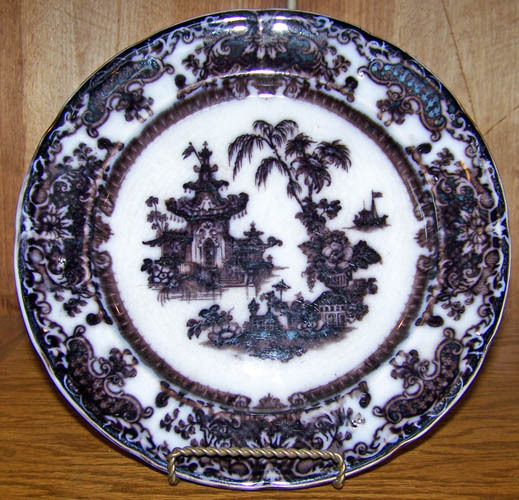 Description: There are two scenes embossed on this luncheon set by Atlas China Co., USA made. 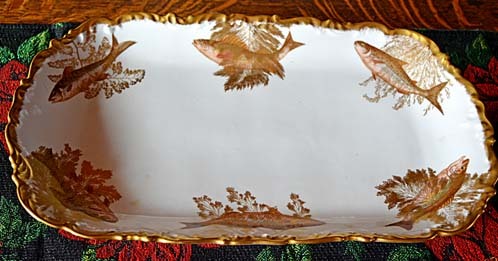 Both scenes are Classical in nature and surrounded by 22kt gold. 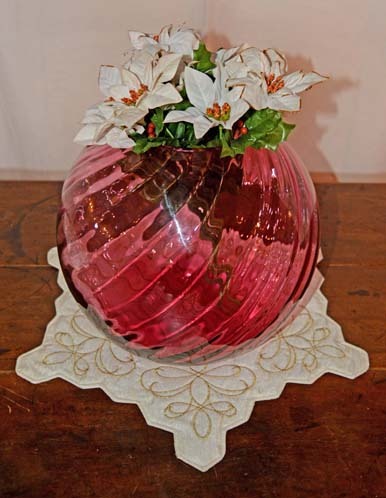 Dimensions: 3 1/2" round x 7 1/2" high. Dimensions: Rice - 2 3/4" square x 5 1/4" high. The rest - 2 1/4" square x 4 1/2" high. 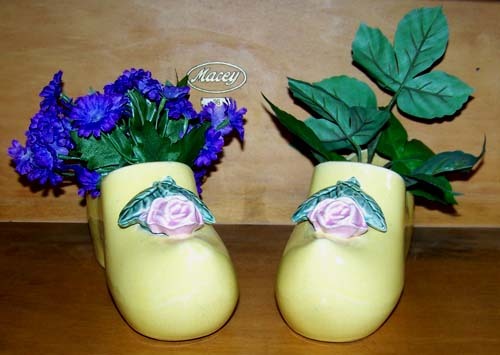 Description: Here is a Set of Green Hoosier Jars that can be used today. Dimensions: 3 1/2" high x 4 1/2" wide including handle. Opening 3". 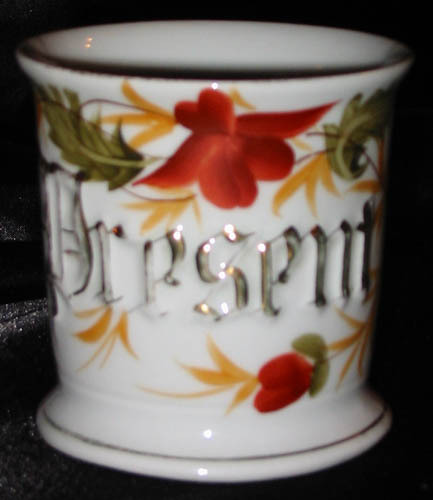 Description: Here is a lovely pre 1900 hand painted shaving mug. 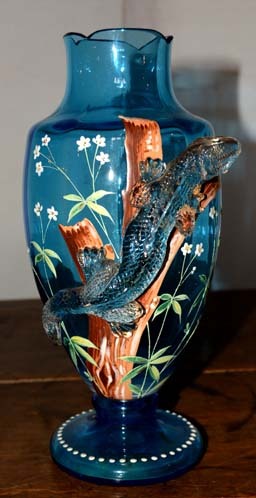 This piece was purchased out of a Dexter, Maine home and is in pristine condition. Dimensions: Cup - 4 1/2" (with handle) x 3" high. Saucer 5 1/2" round. 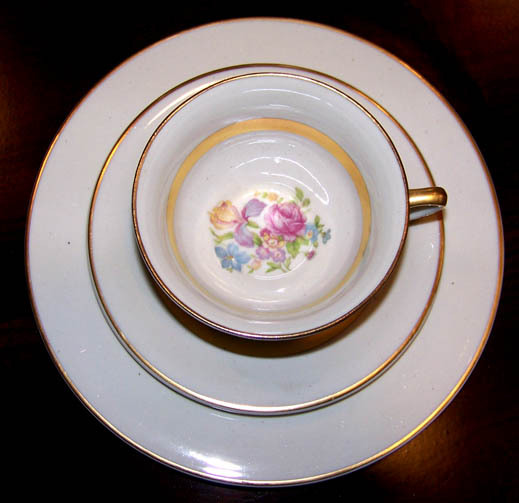 Description: This Tuscan Bone China Cup and Saucer is delicate and beautiful.